Gary Oldman’s Nil by Mouth is the most brutal British kitchen sink drama ever made. Set against the backdrop of a dismal Brutalist housing estate in South London, it depicts the cyclical nature of an extended family’s poverty, drug addiction and domestic violence. At the centre of this family is Ray, an extremely aggressive alcoholic who lives for drinking, drug abuse, petty crime and intimidating those around him. The narrative essentially charts the causes and consequences of his latest savage outburst. Of those Ray accosts and abuses, no one suffers more than his wife Valerie (Kathy Burke), who hovers in the background obediently while Ray and his friend Mark loutishly reminisce about their sleazy antics. Valerie isn’t afforded such nostalgia because she’s barely allowed to go out. It seems Ray approves of only two people, a Scot named Gus and his partner Paula. However, when Ray ‘catches’ Val having an entirely innocent game of pool with a male friend of Gus and Paula’s, we see the full extent of Ray’s ferocious jealousy. Later that evening, he wakes Val to ask “Who’s the c*nt you was playing pool wiv’” before brutally attacking her in one of the most harrowing depictions of domestic violence one would ever want to see. Despite this, Ray is not an entirely unsympathetic character. Winstone bares his character’s soul in a poignant monologue towards the film’s end, revealing that he is the product of a harsh and dysfunctional home that was led by his similarly obnoxious, putrid father. Alas, he seems too selfish to realise that he has become that tyrannical monster. Dwight Hansen is a domestic dictator much like Ray, but he may be even more unlikeable despite being less violent. This is because Dwight gives the impression that he’s a square, old-fashioned gent whereas Ray is unashamedly brutish. However, beneath the corny jokes of Dwight’s charm offensive is a very fragile man indeed. He is a competitive bully with severe control issues and a volatile temper that he swiftly ceases to disguise as he struggles to maintain his insufferable machismo. When his guard is lowered and his spirits are high, Dwight bores his family at the dinner table with embellished stories of his pugilistic successes – this is as affable as he gets. The bulk of the story, which was adapted from Tobias Wolff’s memoir, concerns how Dwight reacts to his stepson Toby’s (Leonardo DiCaprio) adolescence. Naturally, he is threatened by it, so he deals with it the only way he knows how by employing petty, draconian authority that descends into outright physical abuse, whether it’s withholding and later spending his paper round money or knocking him about when ‘teaching’ him how to punch. As the film progresses and the shoulder-bechipped Dwight feels his grasp loosen on Toby and his mother Caroline (Ellen Barkin), he becomes positively loathsome. It is an underrated performance by De Niro that, regrettably, will resonate with far too many people. 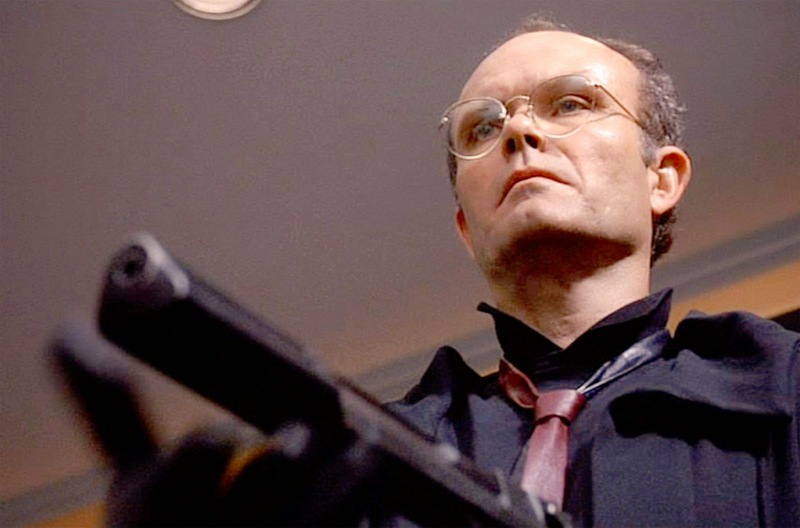 Percy Wetmore is a reptilian little pygmy whose petty authority allows him to torment those who can’t fight back. He is also protected from his colleagues because he is the nephew of Louisiana’s First Lady. This is the recipe for 180 minutes of pure indignation. Percy wages a campaign of hate against one inmate in particular, Eduard Delacroix, but he still doesn’t get the satisfaction that his malignantly vindictive soul craves. Percy’s final act of violence against Eduard is so appalling that even he appears to be disgusted with himself. Much of the character’s hatefulness is achieved by Doug Hutchison’s dark, often sunken eyes and his downturned, open mouth. The latter trait gives Percy such a smug manner that you want to fill it with your fist – several times. When a character introduces himself to the audience by dragging his nails down a chalkboard, it’s reasonable to assume he’s not going to be the most personable chap. 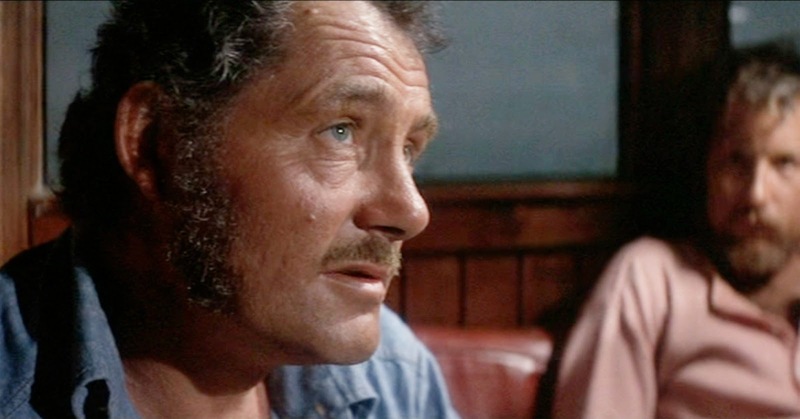 That character is Quint, the gruff, tough shark hunter played by the similarly rugged Robert Shaw. Quint’s a man that favours grit and common sense over erudition and intellect, so when he meets Hooper (Richard Dreyfuss), an affluent, Ivy-League educated marine biologist, he makes his resentment clear with his bellicose, uncouth manner. Shaw would also mock his lack of stage experience and, to knock his confidence, would whisper ‘check your mannerisms’ in his ear just before a take. Although Dreyfuss could be smug, one would think a revered actor and writer like Robert Shaw could have refrained from antagonizing a diminutive colleague 20 years his junior. Despite this, Dreyfuss maintains that in private Shaw was the ‘kindest, gentlest, funniest guy you’ve ever met’, and as this 2014 interview made touchingly clear, Dreyfuss continues to have very strong feelings about him. Whatever the men truly thought of each other, it is an interesting backstory that gives Quint’s bullying nature a unique credibility. 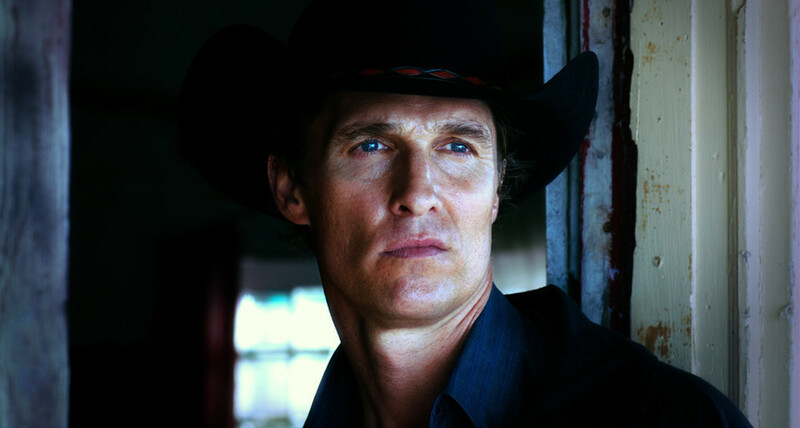 As previous TOC lists have detailed, Killer Joe confirmed that Matthew McConaughey was on a rapid upward trajectory. Indeed, ‘Killer’ Joe Cooper is his best performance to date. Joe is a Dallas detective who moonlights as a contract killer. When he is approached by Chris Smith (Emile Hirsch), a degenerate reprobate who wants his mother dead, Joe initially refuses because Chris can’t meet his rate. However, when he sees Chris’s teenage sister Dottie (Juno Temple), they come to an arrangement where Dottie will serve as a sexual retainer. Nice. Although Cooper maintains a steely reserve for much of the film, each syllable of his southern drawl is loaded with a palpable danger. He creates a pervasive, looming sense of dread and depravity that suggests something very bad is going to happen at any moment. After unnerving us with his insouciant Texan menace, Joe fully unhinges his bestial psychopathy in the lewd third act of Tracy Letts’ wickedly scuzzy script. As you may be aware, it involves the gross misuse of a delicious piece of ‘K Fry C’.